Homes that fit your new lifestyle. Naturally. Surrounded by so much natural beauty, BackCountry homes deserve to be exceptional. And so they are. 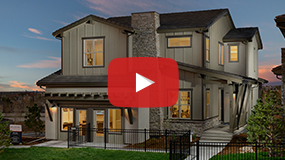 The Milestone Collection by Berkeley Homes is an intimate enclave of 36 Colorado-contemporary homes rising on some of BackCountry’s last available home sites. Three innovative, two-story home plans range from 2,555 to 2,960 finished square feet, and celebrate the setting with large outdoor living spaces, abundant windows to capture natural light and views, and open plans designed for unforgettable entertaining. Many homes offer garden level or walk-out basements for even more well-lighted living space. All are specially designed to enhance the one-of-a-kind lifestyle of BackCountry, recently named Community of the Year by the Home Builders Association of Metro Denver.